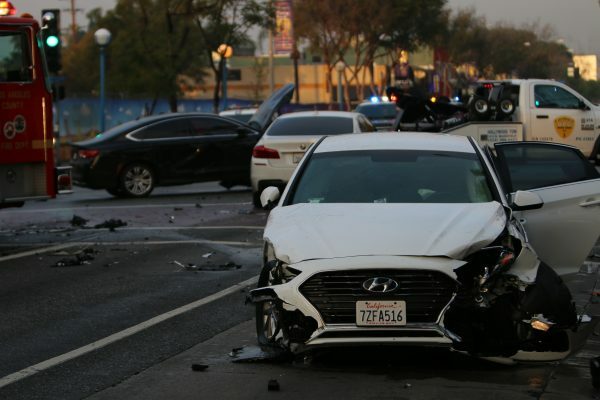 A four-car collision this morning led to the temporary closing of Santa Monica Boulevard at Crescent Heights Boulevard. West Hollywood Sheriff deputies and the L.A. County Fire Department responded to the crash just after 6 a.m. 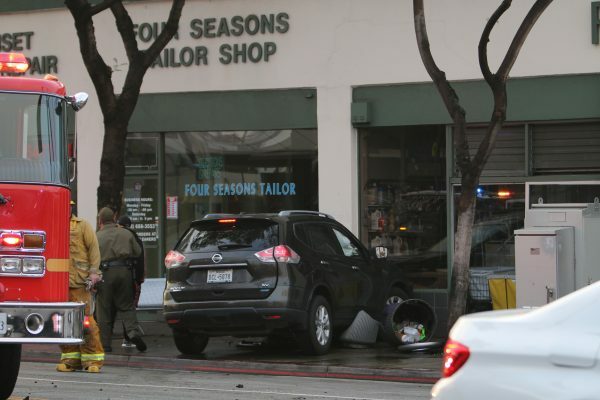 They arrived to find a four vehicle traffic collision where one vehicle ended up hitting a bus bench and coming to rest on the sidewalk outside of the Four Seasons Tailor Shop at 8034 Santa Monica Blvd. Vehicles and parts were scattered across the intersection. It is unclear at this point if there were any injuries. West Hollywood Sheriff’s Station deputies are handling the investigation. There should be poles in the cement to protect bus stop benches. You can set speed limits to whatever you want. That doesn’t mean people will go by them.